Sodium selenate is an inorganic form of the trace element selenium with potential antineoplastic activity. It is the sodium salt of selenium with the formula Na2SeO4. Selenium may be chemoprotective for certain cancers, particularly prostate cancer. High dietary supplementation with sodium selenate may inhibit the progression of hormone-refractory prostate cancer due, in part, to an antiangiogenesis effect. Selenium, administered in the form of sodium selenite, is reduced to hydrogen selenide (H2Se) in the presence of glutathione (GSH) and subsequently generates superoxide radicals upon reaction with oxygen. Eventually, selenium may induce apoptosis in prostate cancer cells and inhibit tumor cell proliferation. Sodium selenate and selenite are also common in premix animal feed. 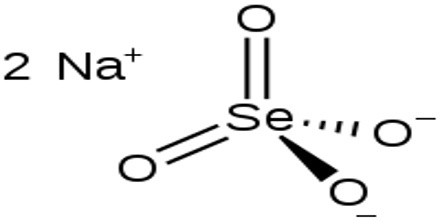 Neither compound has demonstrated a difference in the amount of selenium absorbed. It is a common ingredient in over-the-counter vitamin supplements. 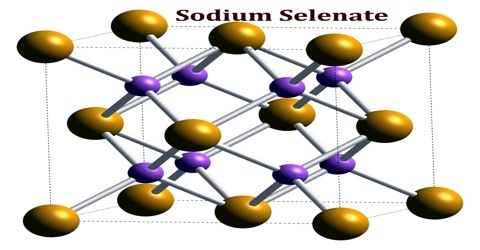 Oxidation of sodium selenite to sodium selenate has also been done experimentally in the prior art by electrolysis but only by a relatively ineicient method giving extremely indifferent results. A method for producing metal selenate from metallic selenium, via selenious acid, characterized by dissolving metallic selenium in nitric acid, to obtain selenious acid; converting the selenious acid to a metal selenite, by reacting said selenious acid with a metal hydroxide, a metal carbonate, and/or another metal oxide/hydroxide; oxidizing the alkalimetal selenite with hydrogen peroxide at elevated temperature in a basic environment to pH 10-12, to form a selenate, which is then dried in a spray dryer. Sodium selenate can actually be naturally found in many foods such as Brazil nuts, mustard seeds, and fresh produce. The toxicity problem arises when the ‘nutrient’ is isolated and separated from the other hundreds or thousands of known and unknown factors in food like enzymes, glyconutrients, minerals, etc. The selenium found within food has actually been shown to prevent disease, while the biologically inert forms used in products have the complete opposite effect on the body. Sodium selenate has weak oxidizing or reducing powers. Redox reactions can however still occur. The majority of compounds in this class are slightly soluble or insoluble in water. 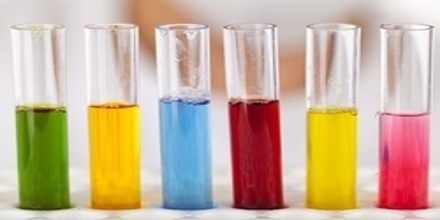 If soluble in water, then the solutions are usually neither strongly acidic nor strongly basic. These compounds are not water-reactive. Sodium selenate is a common ingredient in some insecticides used against mites, aphids, and mealybugs. For most insects, a dose of 10 mg/kg is enough to be fatal. It is also used in some fungicides. Selenium produces a red hue in glass the molten glass is treated with sodium selenate and then arsenic trioxide to reduce the compound and provide elemental selenium. 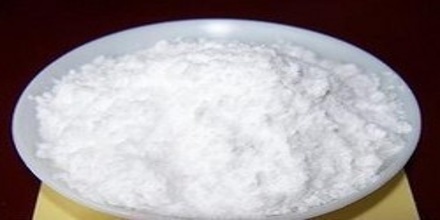 Sodium selenate is also used as a decolorizing agent in glass production. Sodium selenate is effectively used for bio-fortification of crops hence fortifying food/feed to mitigate selenium deficiency in humans and livestock. It can be applied as foliar spray or via rooting medium e.g. added in fertilizers.